SEARCH the sofa and rifle through your jeans if you bought a EuroMillions ticket in Galway last April because a prize worth over €190,000 is up for grabs - and time is quickly running out. Lottery players are being urged to check old tickets with just over 48 hours to go until the expiry deadline. The winning ticket was a Match 5 + Lucky Star sold on Wednesday, April 27, for the draw on Friday, April 29. The Quick Pick ticket was purchased at Tesco in the Galway Shopping Centre, Headford Road, Co Galway. The winning numbers for this prize are 4, 5, 25, 28, 43 and the Lucky Stars are 6 & 11. The ticket holder must make themselves known to the National Lottery by 5.30pm on Thursday, July 28. A National Lottery spokesperson said: "No-one has been in touch as yet for this prize." 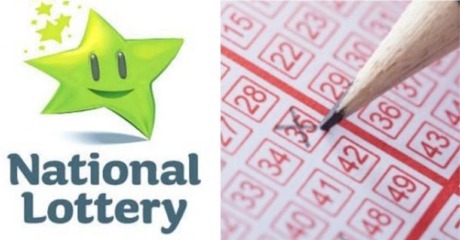 If the winner manages to locate the ticket, they are urged to sign the back of it and immediately contact the National Lottery Prize Claims Team on 01 836 4444. Meanwhile, the holder of another Euromillions Quick Pick winner, worth €381,863, only has until August 4 to claim their prize. The ticket was bought on Friday, May 6, in Tesco in the Market Green Shopping Centre in Midleton, Co Cork. The winning numbers were 32, 34, 40, 45 and 48, and the Lucky Stars were 1 & 10.